A lady Coastguardsman searches for a killer. An oil rig troubleshooter accused of murder races to clear his name. The murderer strives to silence them both. As Amber Meredith seeks to arrest Derrick Darbonne, sparks fly. She needs to solve her first case. But the handsome Cajun suspect makes her heart race and her toes tingle. Derrick has worked all his life for his high-paying, adventurous job. When his past threatens his future, will he endanger the woman he loves? Standing beside him, Joe Bridges, the MIC—Man in Charge—swore. Derrick flicked his gaze over the new hire, the eighteen-year-old from Galveston. The kid’s long blond hair straggled from beneath his yellow hard hat. He was bent over washing sludge and mineral oil through sand to clean out the last drop of hydrocarbon before reusing the sand. Kid was a hard worker, already adept at his job. No laws broken. No environmental procedures shortcut. “She’s my landlady.” Derrick mentally rolled his eyes at the MIC’s ridiculous betting. “No way. I don’t bet about women.” Derrick worked up a weak smile. “No bet.” Derrick made his voice stern, but Joe just grinned and shook his head. Derrick sighed. Now, he was forced into getting a dinner date. If he didn’t, Joe would spread the word that he was a cheyrette. And he was no wimp. On an oil rig, to do his job properly he needed to be tough and respected. Derrick stepped away from the huge drill, now back in full operation, grinding its noisy way into the sea bottom. He leaned over the railing to look two hundred feet down at the cutter throwing out her anchor just off the rig’s port side. Two guardsmen lowered a launch. The trim Coastie, sun glinting on dark blond hair peeking from beneath a peaked blue hat, stepped down into the small boat. Another Guardsman followed. A burly man. From where Derrick stood, the launch’s outboard motor sounded like a child’s toy. The small boat drove directly to the rig’s sea-level elevator that rose through all five stories to the top deck. The clanging elevator gears shuddered into action. Derrick whipped out his handkerchief, pushed back his hard hat, and swiped his forehead and neck. Bad as his day started, it was falling fast into a disaster nosedive. 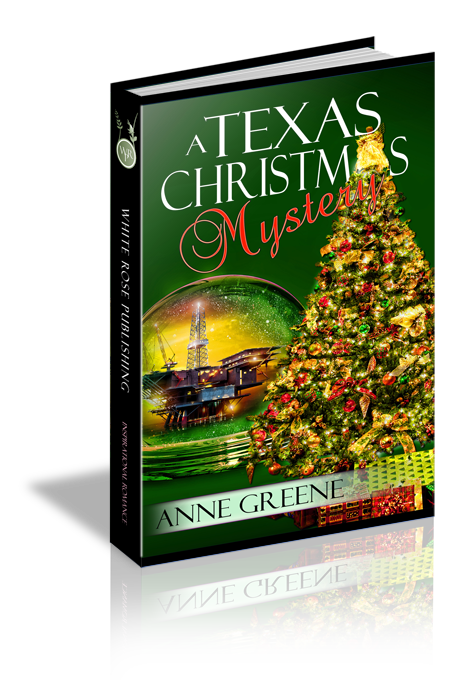 After Danny’s murder, cops and guardsmen swarmed the rig all week, getting tangled in the Christmas decorations. Then they’d had two days’ peace. So now why, after the initial investigation into the murder, did the authorities send two more Coasties? He arrived at the elevator just as the doors shrieked open. Derrick braced his legs and steeled himself. What else had the Coast Guard dug up that tied him to the murder? Were enemies from his past catching up to him?